There are two sides to arguments behind recent efforts at opioid restrictions in the U.S. However one side has been dominant in the last couple of years. State and federal governments have enacted opioid restrictions in an attempt to reduce misuse of prescription medications. Options for patients with severe pain have not been the focus of these campaigns. The U.S. Surgeon General, Vivek Murthy, has made a call to action over what he calls the “addiction crisis in America.” Dr. Murthy addressed the “public health problem” in a recent podcast interview with the British Medical Journal. He said that prescription painkillers “feed into” the heroin epidemic and he called for a broad culture change in approach to drugs. For this reason he initiated the Turn the Tide Campaign in 2016. Murthy also highlighted the role of clinicians in addressing the problem by “sharpening prescribing practices” to prevent overdoses. In the podcast, most of Dr. Murthy’s comments were directed toward legal issues, overdose and addiction treatment, and stigma attached to drug misuse disorders. While prevention and treatment of addiction are important problems, I wondered at how little he spoke of the problem of severe pain that opioid medications are manufactured to address in the first place. Thankfully, BMJ published a patient opinion as well, providing balance. Below is an excerpt to the article by yours truly. In 2014, Florida began a severe crackdown on pain medicine. I encountered pharmacist technicians afraid to handle my prescriptions. They insisted I deal with the pharmacist in person, and even refused to tell me whether my prescription had refills. They refused to transfer a controlled prescription when I moved to another county, even though all my others were transferred. Messages patients sent me corresponded to tragic stories on local television news about people living in terrible pain. People could no longer get their prescriptions from their doctors, but were forced to visit specific pain clinics, an added expense for people with chronic diseases who already pay high costs. Prescriptions were limited to 30 days, requiring additional visits for refills. 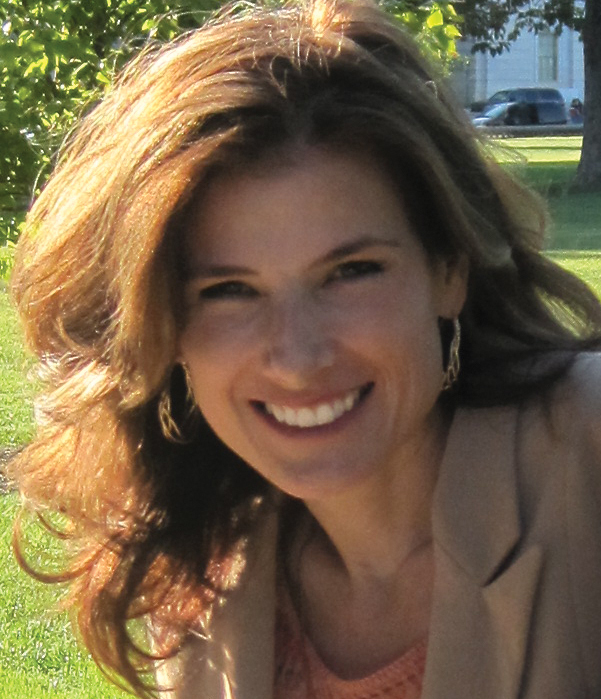 Click here to keep reading Kelly’s article on opioid restrictions in the British Medical Journal. My argument was simply that opioid restrictions often punish the wrong people. While several patient groups have spoken out against the recent prescription crackdowns, other institutions have begun to examine whether the opioid restrictions are actually effective. Do people with rheumatoid disease really need pain medicine? People with #rheum disease have repeated severe acute pain and legitimate need for pain medication. Click To TweetOn a personal note: Eleven years of full-blown RD and I still think I’m tough. I’ve survived five (long) home births with no pain relief; the nurse midwives don’t even allow a Tylenol or a sip of wine. I’ve lived with a bulging torn disc in my spine since age 20. Endured several radiofrequency ablations while awake. Three times I’ve had a fever of 105F. For years, I’ve watched one doctor and nurse after another marvel at how I sit and breathe while needles are put deep into my finger, wrist, shoulder, knee, ankle or toe joint, and I don’t flinch. I believe I have lived through enough kinds of pain to have a fair opinion of severe pain. On rare occasions, I use opioid pain medications myself. So yes I’m biased toward patients and I’ve written over 60 articles on RD pain and pain tolerance. And I believe that people with rheumatoid disease live with repeated severe acute pain and have legitimate need for pain medication that it is wrong to deny. Stay tuned for more on the topic of opioid restrictions. WHAT DO YOU THINK? 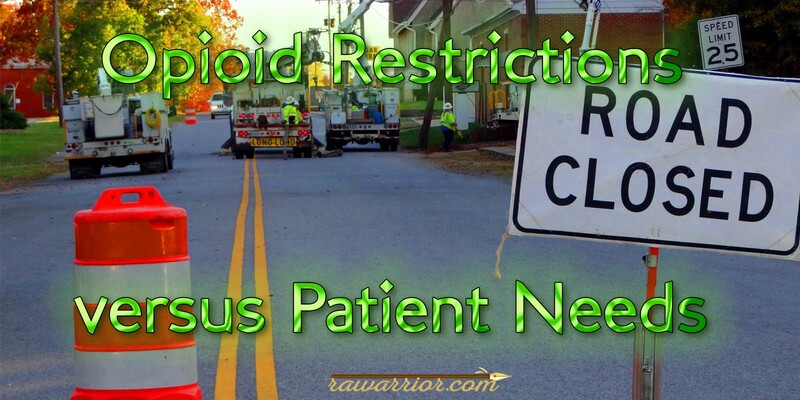 HAVE YOU ENCOUNTERED OPIOID RESTRICTIONS? 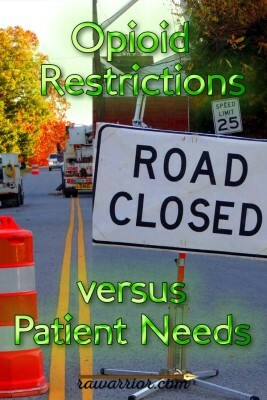 DO YOU THINK RESTRICTING PATIENTS’ ACCESS TO PAIN MEDICINE REDUCES MISUSE AND ADDICTION PROBLEMS? Does Rheumatoid Arthritis Pain Really Hurt That Much? I’m lucky, my PCP will prescribe limited quantities of pain meds, and though we’re trying to scale it back, she has assured me that I won’t be without pain meds when I need them. I’m grateful to her, b/c my rheumy won’t prescribe opioids at all. I like my rheumy & she takes wonderful care of me otherwise, and my PCP takes care of my pain needs, so I don’t fight it. I’m afraid the day will come when these restrictive opioid “guideliness” become law, & my doctor’s hands will be tied. I don’t think the guidelines are doing any good anyway. Opioid addiction and overdose rates are astronomical, despite these guidelines developed to “fight the war on addiction.” The way I see it, if people want to misuse the drug, they’re gonna find a way to get it, and if they can’t get prescription opioids, they turn to heroin. We need common sense guidelines that don’t punish the people who really need these drugs, and we need doctors making these decisions, not legislators. The only thing that’s been accomplished with the guidelines is punishing those who need them, and making them feel like junkies, b/c that’s how they’ve been treated. Like I said, I’m lucky to have a physician who prescribes them for me when I need them. They are many, many more chronic pain patients who aren’t so lucky. What happened to “first do no harm”, and “pain is what the patient says it is?” I’ve worked as a RN, and I can tell you that the vast majority of patients who have a legitimate need for pain meds, and are prescribed those meds DO NOT become addicted. The statistics are there to back it up. Pain is grossly undertreated in our healthcare system. I’m all for balancing controlling patients pain with the risk of addiction, and I’m all for using nonopiod measures to control pain as much as possible. But the sad truth is, it doesn’t always work. If we were cancer patients, we’d get all the pain meds we needed & then some. Instead, we’re forced to suffer with a LIFETIME of pain with no relief in sight. It’s criminal. And I’ll leave you with one last thing. There’s a BIG difference between tolerance/physical dependence and addiction. You can build up a tolerance & be physically dependent and NOT be addicted. It’s not ideal, but it it’s a whole other beast than addiction. Addiction is using the meds inappropriately, taking more than prescribed, attaining it without a prescription, doctor shopping to get more than needed. I think it’s safe to say that the vast majorly of us don’t abuse opioids. We take them because we have legitimate pain that needs to be treated, and should be treated. Anything less is inhumane. My specialist won’t prescribe any narcotics and prednisone is out of the question. Focus needs to shift towards use versus misuse. It’d easy to form an opinion if you don’t have chronic daily debilitating pain. It’s easy to listen to the news and jump on the bandwagon of public opinion when the issue is not yours. 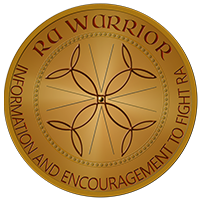 RA patients deserve help with pain just like any other person suffering with a disease. SPLENDID in depth information with amazing links for additional information. Unbiased. Well written. THANK YOU KELLY for this amazing share. I have to go to my Doctor every 30 days to get my norco. I have to call at least 3 days before I can get it. My Doctors office is 30 miles away. Most of the time I just make it through the month before I need a refill. No one knows what the pain feels like. Sleep one day,up all day and night,because of the pain. This is a nightly thought. That is b/c if I have had any more excitement than walking to the couch my knee is too painful. My hands have difficulty pulling the sheets up. AND! It is winter here so a blanket is also on the bed. Page 3 of the first prouncement from the CDC says “if you still have a “fx” or words to that effect pain rx will be given. My dr’s have never found any combination to stop the progression of my PSa or RA. One finger was even amputated as the progression was so severe it was flopping. My thumb is on that way now so…I have many joints like that…bone ends looking at each other no longer bound by a joint space or what the lord intended. I have hardware in my thumb…there are 2 plates, 4 screws and wire to attach the bones together…it failed the first yr. and now the entire phalanx is crumbling and that hardware is detached, completely. The disease has erroded the bone to that extent. I have used Percocet for the last 10 yrs. i used the daytime dose to do things like houseork, dishes, make beds and do grocery. Yes, it still hurt then but the rx held it at bay. Then just before bedI would ice my knees, hands and low back. With the new rules I feel like a criminal going monthly for my Percocet. Only one Percocet now days. I am so “undermedicated” I can cry with frustration at the CDC. I know my level cannot be the only one this bad. I feel we all need to help the CDC make corrections to their edict. There are times I hear family or friends howling b/c the pain from their broken finger, toe, surgeries for repair of fx. Well, when it begins to heal and knit the bones together I hear their need is gone but they will tell me how bad the pain was. Do I have any idea how badly it hurt?? Well, try 17 fx, Similar bone disturbances as my family, friends. I have had the two diseases since I was 16. I am 67. I sure am tired of all this. I type with 2 fingers so if I have made mistakes please forgive me. I have written the CDC, and asked how many Rheumatologists they have in the group that set these restrictions. I would love to show them my x-rays as I believe that a picture is needed to understand what the end of a life with PSa and RA looks like. These bone ends will never heal. 22 surgeriies has not stopped the synovitis. I have been on every type of rx. I am starting Remicade again as there is a hope for my new rheumy that it will give some relief. It did not help before and none of the other 8 biologics have worked either EXCEPT. I must say Enbrel was the first I tried and almost like a miracle my pain stopped. It worked for about 7-9 months and stopped. A second trial a year later did nothing. And, I do go to my gym 2 days a week to take a weight lifting class. They help with my stumbling and collection of weights and putting away my equiptment. The social contact is invaluable. My had weights are 2 lbs. it used to be a bar with 40 lbs but that is gone now that my thumbs are so bad. I agree with all of you suffering from RA and other chronic disease. 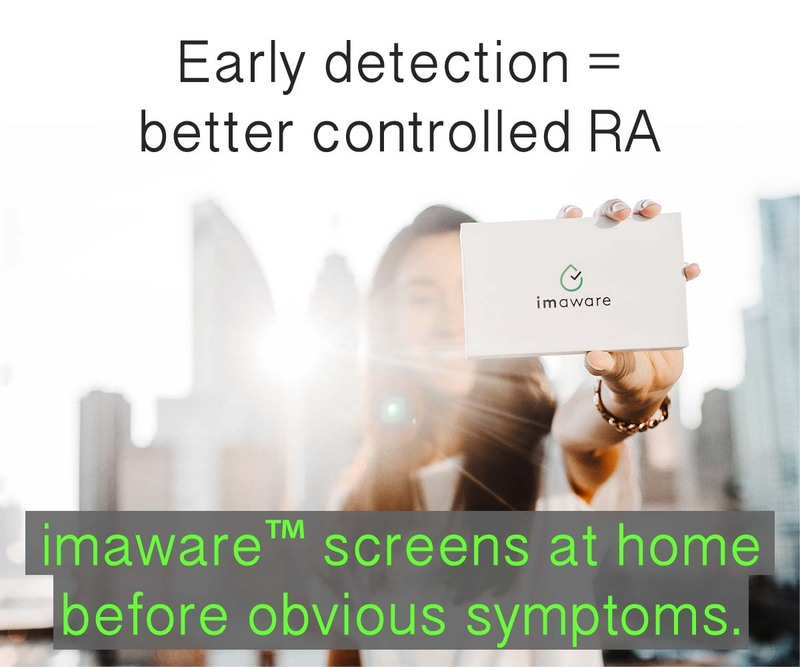 I’ve had RA for over 20 years-I was 26 when diagnosed. I have been strong but of course the progression does not stop, my dr retired after treating me for 20 years and my new one will not rx pain med, instead sent me to a pain clinic where I was treated like a druggie. Doctors and pharmacists all make me feel embarrassed for needing pain med. Like you I only take 1 during the day (way below my dosage) so I’m able to function (I have to work full time) without being so miserable, the pain is still present. I don’t take the pills for kicks and giggles. Where is our right to proper care, to not have to suffer unnecessarily? Why do we only care about people that abuse prescriptions? We have as much right to proper care as the drug abusers have to theirs. As a pharmacy technician of 35+ years, I have seen the ebb and flow of narcotic availability. Prior to the controlling pain movement,when you received any controlled pain medication in hospital or at the pharmacy, you would also received an prescription for hydroxyzine pamoate,this particular medication prolongs the pain relief of the narcotic. When health care changed to give the patient what they want for pain vs give patients a choice in their care, we saw a drop in the amount of prescription’s written for Hydr.pamoate. and an increase in the am of narcotics. As a newly diagnosed RA patient who is unable to take narcotics and most ant-imflammatories,I am interested in what I could take for pain. Thanks for this article. I will follow the comments. It’s getting so hard for me to get my scripts filled. My doctor is under fierce scrutiny. I understand the epidemic but provisions need to be made for the person in chronic pain. I don’t know what the answer is but it’s not keeping legitimate users from their prescriptions. I went to my Rhuemy yesterday. I asked him if he would up my norco from five a day to six. He went off like a nut. He said do you want me to lose my job,I cannot do it. You are on the highest dose, 10mg. Now he wants me to start taking some kind of shots that have many side effects. What do I do? Sit around in pain all day or take something that could and will end up killing me? Six years of nothing but pain. I’m being forcibly weaned from my pain medication even though my RA is not in remission. Not right. Omg Noelle I’m so sorry. In February, I had to take a trip out of state for work. I’ve been on opiate pain management for approximately a year, while also trying to get my RA managed through my Rheumy. My pain management is handled through a pain management clinic, and I have gone to the same one the entire time. It took 6-9 months to get a regime that works well, but by the time I was going on my trip I had been on the same regime for 3+ months. In fact, my doctor and I had been discussing decreasing my dose because I had been feeling so well. During this time I haven’t had any issues with early fills, etc. I also take adderol, another schedule 2 medication. I have four children, and am the primary income in our house, holding down a high stress/demand job in the IT field. While on the afore mentioned trip with a peer and my bosses our rental was broken into and all of our laptop bags were stolen. Having ADHD I have developed several ways of coping with my memory issues, one of which, for all the meds I have to remember to take, is to always carry them all on me. In this case it meant that the meds I had filled just prior to the trip including my adderol and painkillers were all stolen, along with 8-10 other less “fun” medications. All four of us took pictures of the rental with the windows broken out, and filed police reports. The next day I rescheduled my return and called all of my doctors. My PCP wrote new scripts for everything, except the pain meds as with my pain contract I’m not allowed to get the meds from anywhere except my pain management dr. I called them and offered them pictures, police reports, and witnesses in the form of my director, our cto, and the other manager I was at the conference with. They stated they “appreciated” all of my evidence, but would not be refilling my meds. Instead they prescribed a patch to help with the withdrawal. By the following Monday the withdrawal was pretty manageable, but the pain was debilitating. One thing I nevet thought about until then was that when the disease onset the pain built up over time, so what you consider a 5 or a 7 changes as you get used to managing it. After months with my pain being managed well, going without my meds felt like I played chicken with a semi and lost. So I scheduled a followup with my pain management dr because I decided that their response was unacceptable. Even if they legally could not refill the meds (which is no the case), they are still my pain management dr, and it is their responsibility to treat my pain. So I went in to find out what my options were for the next month. I also brought in my police reports, etc. The doctor said that we would resume my normal regime in a month, but she would not refill my meds. What she did decide to do as the alternative, was provide a norco script for approximately half my normal opiod dose with 2 pills a day (8-10 hours of coverage). The following month was hell, as not only was I in pain, but I was left with facing the daily choice of deciding when I would be most functional. Do I take my meds for work so I can perform my job without the fog of pain, or do I see my kids and not be a lump, or choose both of the above and forgo sleep. By the end of the month I felt more like an addict than I ever had previously, and honestly think it may have bedn better for her to give me nothing. I also asked her for steroids to help, which she provided. At the end on the month, on my next visit I was right back on my meds. And got to enjoy the side effects I hadn’t suffered before due to the slow increases in strength prior. Overall, in my opinion, living with RA is hard enough, and already feels victimizing. Having been violated by theives, the system victimized me further, by refusing to fill my pain meds, and forcing me to pay out of pocket for the others. This also led me to the closest I’ve ever been to trying to find the stuff illegally. At every turn this experience seemed more dangerous to my long term health than helpful, and I believe the DEA needs to get out of my dr patient relationship. Ian, thank you so much for taking time to type out your story here. It means so much to future readers, both patients and doctors (or nurses). Thanks for reading it. The one thing I forgot to write that I learned from this experience. During my follow-up after my meds were stolen the dr told me that I should only ever take the meds I need when I travel (as in X days doses). While good advice, the reason for doing so is just as ludicrous as what I went through. Only taking the meds you need (+ an extra day or two) means that if they get lost or stolen that you will still have some left to ration out across the rest of the month. No one told me this before I took my trip, so hopefully this will save someone else the mess I went through. As a RD survivor of many years, I have watched the growing demonization of pain killers (and those who use them) with increasing apprehension. As a retired RN I am very familiar with the actual statistics of chronic pain patients abuse of opioids. It is extremely low. Certainly much lower than the risk of becoming an alcoholic from using alcohol. Recent hysteria about opioids abuse is rife with totally false statements about opioids. Several considerations: first, heroin is NEVER a legally prescribed medication. The inclusion of heroin abuse with chronic pain patients pain killer use is nuts! Secondly, the so called accidental overdose figures that are quoted are quite inflated, from both the inclusion of illegal unprescribed medications and illegal drugs such as heroin as well as intentional suicides. Suicide is actually one of the primary causes of death among those in chronic pain. The increase in long-term use of pain medications themselves can also be explained by our aging population. As the baby boomers become older, a lifetime of injuries and illnesses often leads to chronic pain. The majority of patients in any pain clinic’s waiting room are elderly. It is also interesting that the Drug Enforcement Agency has determined that there is currently opioid epidemic, just as marijuana has been decriminalized in so many states. This should have led to lay-offs among DEA employees but I haven’t heard of any. Are they creating work for themselves by misrepresenting the facts? There are so many unqualified sources talking about the so-called epidemic and they frequently inflate the numbers. News Reports of deaths from overdoses has more than doubled since January! And the latest thing I read was that OVER HALF of all folks who take pain medications will end up on heroin! Like we are going to see a line of little old ladies in wheelchairs lining up to score in some roach hotel. I’ve spoken to too many people who are now afraid to even take a Percocet following surgery for fear they will become addicted. And so many others who can no longer find a doctor or pharmacy willing to give them the pain medication they need to simply get through the day. I’m very concerned. Whether we use pain meds or not, we owe it to those who suffer all day every day to find out the truth about opioids so we keep them available for those who need them. Thanks. I have to go in every 28 days to pain management and give a urine sample. I’m ok with it. What I was not ok with was the $900 Bill I got when my insurance called the test “medically unnecessary.” I finally worked it out, but still have to pay my co pay and $50 and my prescription co pay every 28 days. It’s breaking the bank but I know I am lucky I can afford it. Sometime I will tell u my story – but the short of it is that my blood does not show inflammatory arthritis, but my bones do. Only when you are 18 and complain of widespread indefinable pain you are labeled as an addict and treated so shabbily by docs you figure they must be right. So you wait 25 years, when the pain has become unbearable, and go to doctor, after doctor until u find the right ones. But now it’s really too late to do anything but treat the pain. You finally get on a decent regime and along comes the “affordable care act” and you are forced to change doctors and now, for some stupid reason, the insurance company has far too much input on your healthcare and can trump the doctor who actually examines, meets with, and treats you. My story. Something really wrong with this whole picture. Thanks Ian. Good info. I will be taking a trip soon. What the present system of treating Ra pain does, is driving me to the illegal drug market so I can live pain free. I don’t want to do this but Tylenol and tramadol just does not do it. I have legitimate pain and I need a legitimate prescription to battle my Ra pains. Doctors have no idea how painful flare ups can be. My quality of life is as much important as the quality of life every person has a right to. Whoever decided to limit opioids to Ra patients should live with the pains we endure for a month. I am sure that it will change the point of view. We Ra patients deserve better and we are not druggies.